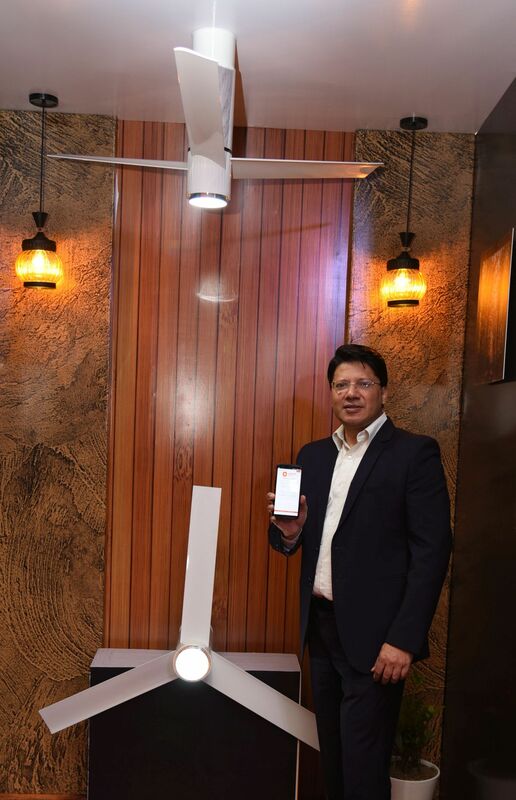 Orient Electric has launched the Smart Ceiling fan in India. The Smart Fan can be controlled from the mobile app, smart assistant and a remote. Orient Aeroslim Smart Ceiling Fan allows a user to control the fan speed, modes, and light with Smartphone. The Orient Smart mobile app allows users to control the fan speed, reverse rotation, underlight with dimming right from your palm. The fan comes with inverter motor fan which consumes 45-watt of electricity which makes it energy efficient fan as compared to ordinary one. It features advanced aerodynamic blade design to give an impressive air delivery of 240 CMM while ensuring silent operation even at low voltages of up to 140V. It has telescopically adjustable mounting which complements both traditional and modern ceilings. The Orient Aeroslim FAN is also compatible with Amazon Alexa & Google Assistant. Orient Aeroslim fan has a sweep of 1200mm and has 100% rust free blade made of high-grade glass. The fan blade is bend-proof, rust-proof and easy to clean. The fan also comes with remote to control the different modes.